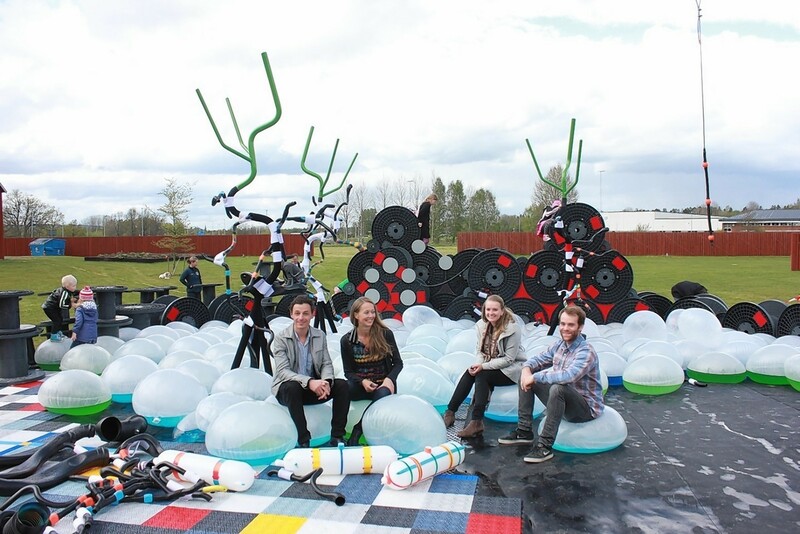 An architecture student has helped bring joy to children in Sweden by designing an innovative new playground. Kjersti Monsen spent a year helping Helen and Hard Architects in Norway during the fourth year of her course at the Robert Gordon University in Aberdeen. The 23-year-old, of Links Road, Aberdeen, spent the year working in Stavanger, developing her vision for a play area for the Swedish contemporary art and design museum Vandalorum. She worked closely with school pupils to design the plans for the playground, which has been built using recycled plastic, rubber and steel. Miss Monsen, who is originally from the village of Tananger in Norway, was selected for the placement thanks to her involvement in a previous university project which encouraged pupils at Robert Gordon’s College to share their vision for the development of the school campus. She said the previous project had given her “invaluable” experience in working with children, which had helped for the Sweden scheme. “Watching the children work and play in the playground I had helped design was very rewarding,” she said.